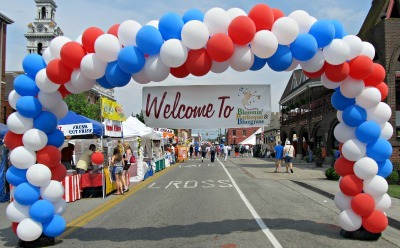 The Bloomin BBQ & Bluegrass Music Festival is one of Sevierville's biggest celebrations! 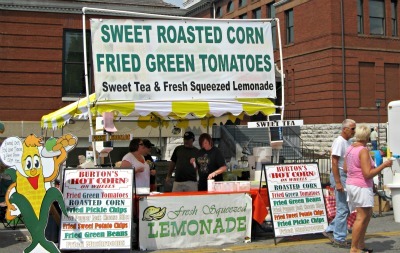 This exciting festival features some of the best Barbecue and Bluegrass music around! If you're a big fan of fresh BBQ, then you've come to the right party! Barbecue cook teams from around the nation gather right here in the Smokies to prepare some of the best you've ever eaten! 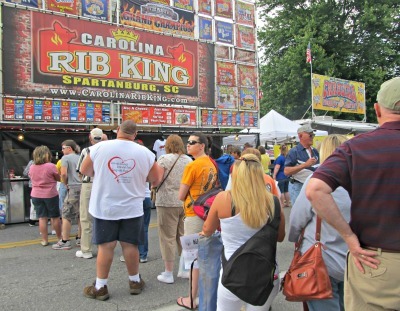 There's competition for the best BBQ And if you're wondering whether or not it's good, just ask some of this crowd! When you have food this good, ya gotta "jolt" it down with the kind of music these hills are most famous for! That good ole, foot stompin' knee slappin' stuff that keeps you rockin' for hours on end! 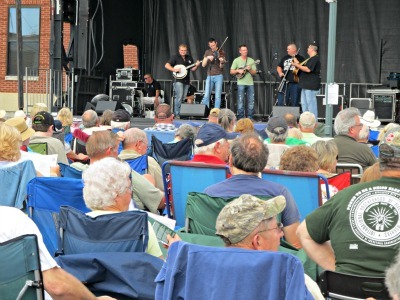 It's famous Bluegrass tunes performed by local bands. 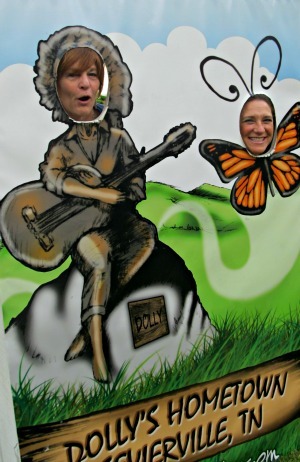 One of the festival's most popular events is the Dolly Parton sing-alike contest! There is always competition, some are good, and some just plain interesting! You never know what you might see, or hear, however, whatever it is you can believe it's a contest filled with wholesome family fun. People gather from around the world to hear what just comes natural here in the Great Smoky Mountains! And the best part is..... these concerts are FREE to the public. 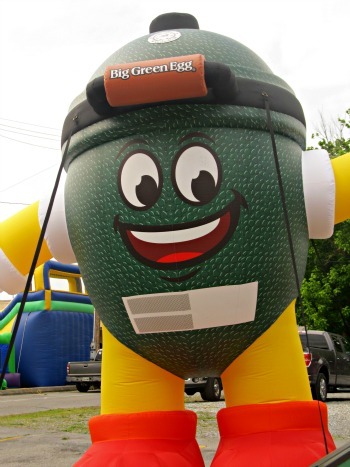 People of all ages love this Spring-fest celebration, but it's the children who enjoy it most! 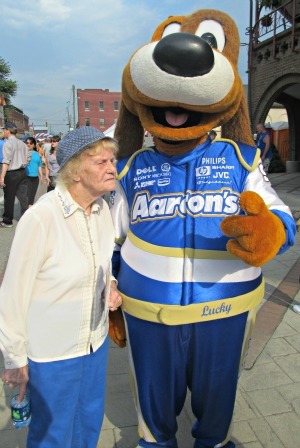 Kids of every age have a great time meeting those famous folk like those pictured below who are forever present here! There's lots to do for the little ones! The "Kid's Fun Zone" features those "forever popular" balloon blow-ups along with trampoline jumping, and more. While the music plays, many are shopping down streets aligned with tents filled with beautiful homemade arts, and crafts. 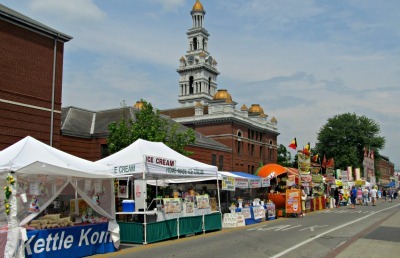 This festival has some of the best crafts people in the area to showcase their talents! It's a lot of fun just to go browsing and see what unique treasures you may come across! 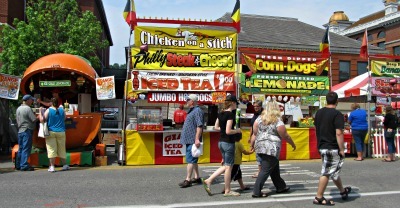 And once you've got "yer belly full" then it's time to try the many grilled foods, soft drinks, and homemade ice cream that align the festival streets! Some of the most delicious chicken, steak, pork, and stuff is cooked right along this street! When you're ready for desserts, funnel cakes, pastries kettle corn, and most every other kind of "goodies" what you're looking for is right here waiting for ya! 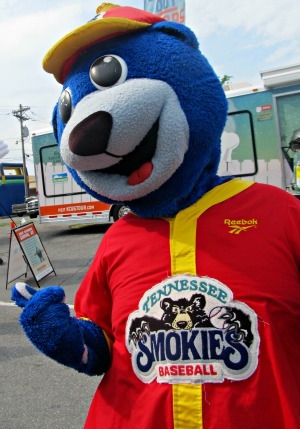 However you choose to enjoy Bloomin' BBQ and Bluegrass, you can bet you're in for a "FLIPPIN'" good time!